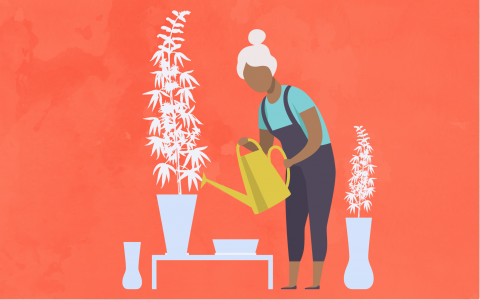 Growing cannabis in an indoor environment gives the grower much greater control over the vast number of variables that can affect a plant’s health and growth. 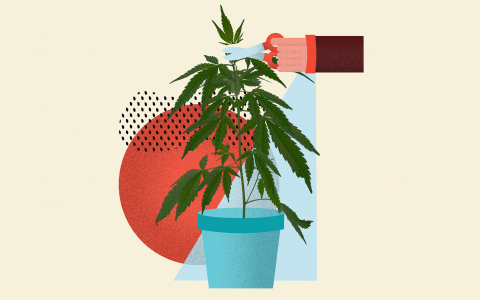 The movement of air through an indoor grow space is imperative to maintaining a healthy garden, and without proper ventilation, a grow space can face a number of problems, like carbon dioxide depletion and the proliferation of mold and pests. 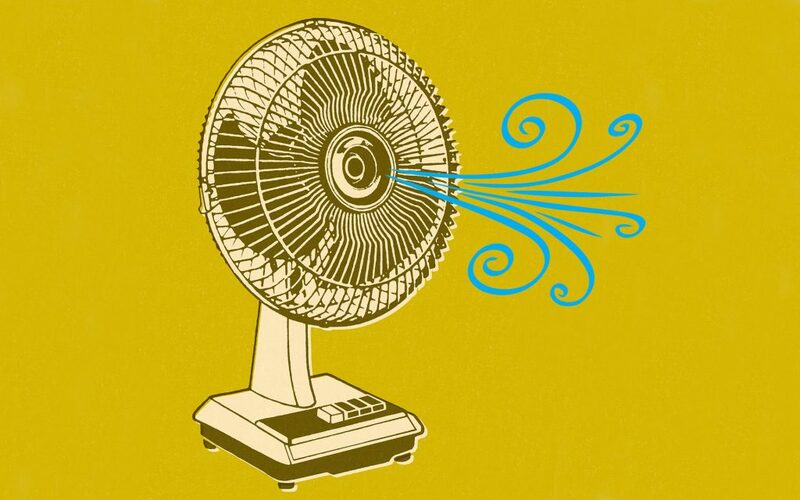 Indoor growers use many tools to help control airflow throughout a garden, including oscillating fans, intake and exhaust systems, and filters. Combining these elements can create the perfect airflow for a grow space of any size. 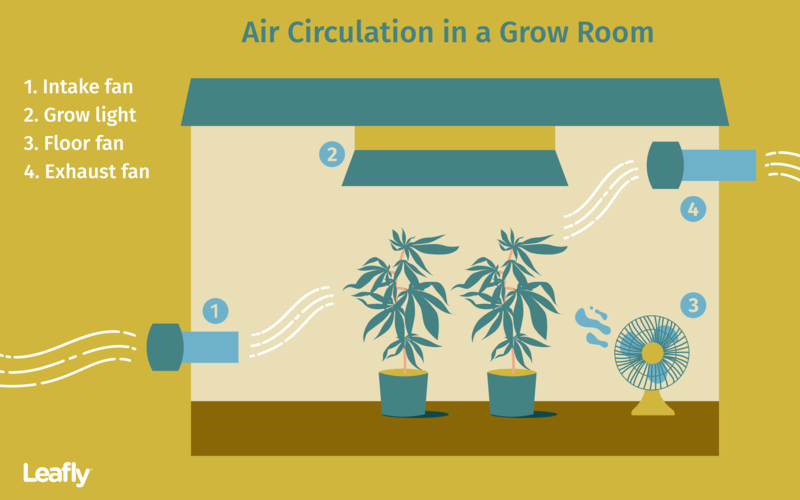 Why Is Air Circulation Important for Cannabis? 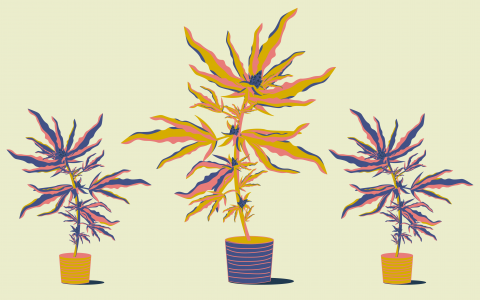 Plants housed in an indoor grow space are much more susceptible to tiny fluctuations in climate. 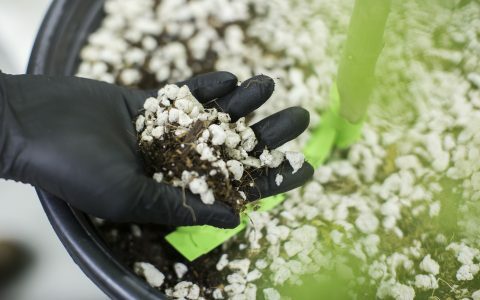 Without proper airflow, these spaces can experience rapid changes in humidity, as well develop pockets of CO2 depletion, neither of which are good for plant growth. CO2 depletion can lead to nutrient lockout, and areas of high humidity are prone to pest infestation, mold, or mildew. To mitigate these potential issues, creating sufficient air movement is imperative. The ultimate goal of using air circulation and ventilation is to create homogenous airflow throughout the entire grow space. This helps regulate CO2, relative humidity, and also air temperature. It’s easy and inexpensive to install fans in a garden. For small spaces or tents, clip-on fans can be attached to structures like walls, corners, or support beams. 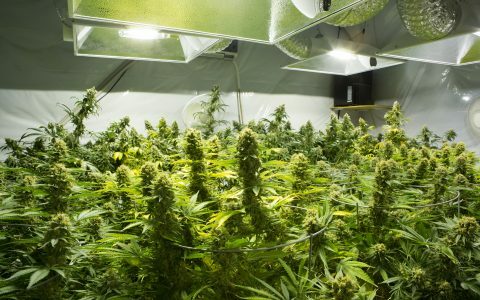 Larger grow rooms can benefit from medium-sized oscillating fans or big floor models. Fans should be positioned to provide direct and even airflow throughout the garden. This typically involves using multiple fans that work together, or fans that have oscillation capabilities. 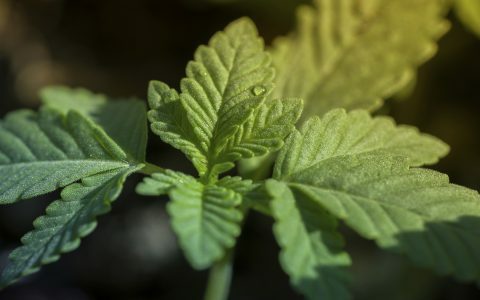 Plants should enjoy a comfortable airflow both above and below the canopy, and fans shouldn’t blow air directly onto the canopy because of wind burn, which causes leaves to recede into a claw-like deformation. Air replacement is just as important as airflow to the overall health of an indoor garden. Air exhaust systems create a slight negative pressure in a grow by removing hot air and bringing in fresh cool air. 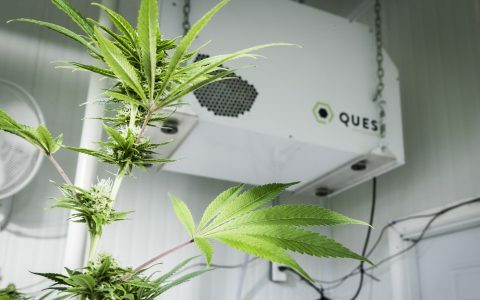 These systems typically include an exhaust fan, filter, and ducting to direct airflow out of the area, and a complete air exchange throughout the entire grow space should occur once every minute or so. Most exhaust fans sold in the US are sorted by how much air they can circulate, measured in cubic feet per minute, or a CFM rating (other countries may use cubic meter per minute). For example, if your grow room is 4’ x 4’ x 8’, your air volume will be 128 cubic feet. An efficient air exhaust system should be able to circulate at least this much air through your space every minute. There will always be an inefficiency at some level with equipment, especially when adding carbon filters to scrub air as it leaves the space, so most growers account for a 25% loss in efficiency. To calculate this, multiply the air volume by 1.25. Using CFM ratings is a good way to figure out how much power your exhaust system will need to create negative pressure in the grow area. However, finding hardware that will give the exact output you’re looking for may be difficult. Fan speed controllers allow for minute changes in airflow, letting the grower fine-tune the exhaust system while providing a margin of error that allows for inefficiencies in hardware. Furthermore, hotter and more humid grow environments will need a higher CFM, and having the ability to adjust fans can save a lot of time, energy, and money. 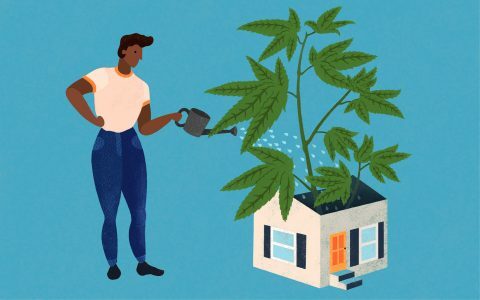 Instead of using fans to circulate air, a passive-intake grow room has ports, or access points, that allow air to naturally come into the grow space, while an exhaust fan pulls air out. Intake ports should be larger than the exhaust port to prevent the exhaust fan from working too hard to replace air in the room. Small grow rooms are perfect for passive-intake systems because they tend to generate less heat and won’t need as much air circulation to create negative pressure. Active-intake systems have fans to bring air into a grow space. This can be great for large indoor spaces that need an extra boost of airflow. Intake fans in this system typically don’t require as high of a CFM rating, especially when used in conjunction with a highly efficient exhaust system. Also, ports for intake fans don’t need to match or exceed exhaust port sizes because they bring air into the space better than passive systems. For a small investment, a proper ventilation system in an indoor grow space will greatly improve the overall health of your plants. 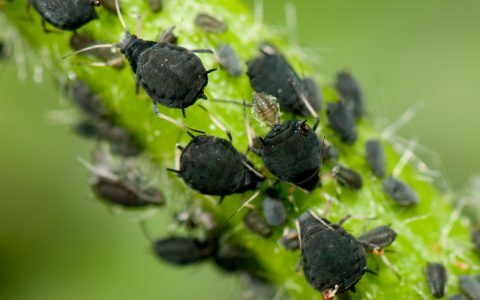 Even a basic air circulation system will ensure a healthy and productive grow, while also reducing the presence of pests and other environmental ailments like mold and mildew.